Volume I : Annotated Checklist, 2nd edition, 2012. by Kelly W. Allred. The 3783 species (and 4204 total taxa) of vascular plants occurring in the wild in New Mexico are listed, with synonymy, common names, whether native or exotic, references, and a complete accounting of all names that have been reported for New Mexico. Also included is an introduction to the climate, geologic history, soils, ecoregions, vegetation types, botanical history, and endemic, exotic, and noxious plants of the state. Available in paper, hardbound, and pdf versions; 6 x 9 inches; 603 pages. Volume II : Glossarium Nominum, 2nd edition, 2012. by Kelly W. Allred. The etymology, definition, and usage of each of the scientific names of New Mexico vascular plants are explained. Available in paper, hardbound, and pdf versions; 6 x 9 inches; 151 pages. Volume III : An Illustrated Identification Manual, 1st edition, 2012. by Kelly W. Allred & Robert DeWitt Ivey (Eugene Jercinovic, editor). Identification keys are provided for the 3783 species (and 4204 total taxa) of vascular plants found in New Mexico. Approximately 1600 species are illustrated. A glossary of terms, and notes on habitat, distribution, and ecology are provided for each species. Available in paper, hardbound, and pdf versions; 8.5 x 11 inches; 719 pages. 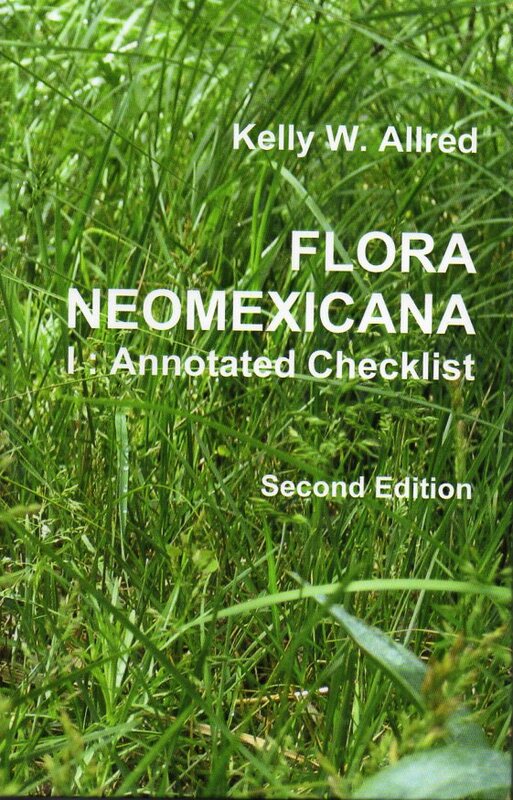 This is a condensed version of “Flora Neomexicana III : An Illustrated Identification Manual,” with the illustrations omitted and the text reduced in size and length by one-third. 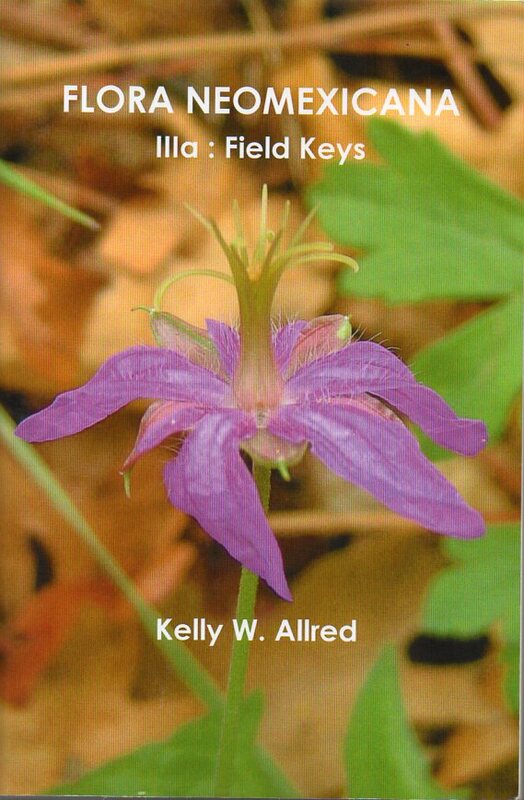 Keys and brief descriptions of range and habitat are provided for the 3783 species of vascular plants found in the wild in New Mexico. Available in paper and pdf versions; 6 x 9 inches; 480 pages.